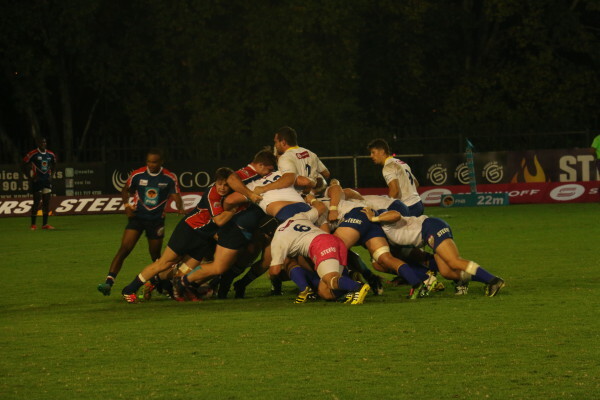 FNB Wits played host to FNB Madibaz in the seventh round of the Varsity Cup at the Wits rugby stadium. The hosts managed to secure their third win of the tournament with victory by 30 points to 20. Wits looked the better of the two sides starting the game with energy and intensity. The team’s commitment was rewarded with an early try from flanker Constant Beckerling. The Madibaz, from the Nelson Mandela Metropolitan University (NMMU), would however hit back through Jixie Malapo’s 7 points immediately after the strategic timeout. Rhyno Herbst then crossed the white wash for the hosts to make it 10 all. The first half came to an exciting end with a try from either side in the last 10 minutes ensuring that the teams went into the break deadlocked at 17-17. The hosts came out strong in the second stanza and scored 13 points thanks to two penalties from the boot of returning captain, Warren Gilbert, and a try from man of the match CJ Greef. The win leaves Wits with 15 points from six games and keeps their hopes of making the semi-finals alive as the tournament heads into the final two games of the round-robin stage. However, Van As was adamant that the team is not looking too far ahead and that the focus will be on the game against the University of Johannesburg (UJ) next week. The game against UJ is set to take place on Monday, March 20, at the University of Johannesburg stadium. Wits Vuvuzela, Wits rugby team starts the season with a muddy loss, 3 February 2017. Wits Vuvuzela, Tough run-in for Wits rugby, 22 February 2013.